In the realm of modern music today there are many dialects and possibly more than one language. 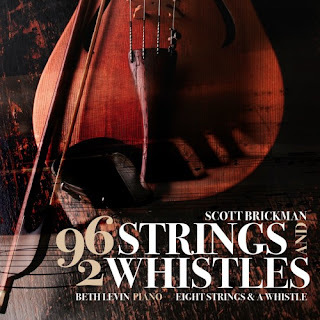 On Scott Brickman's 96 Strings and 2 Whistles (Ravello 7940), a collection of five chamber works, we have the modern root language, in a dialect that is non-serial high modern neo-classical I suppose you could say. Each work stands out as syntactically lucid, nicely put together, expressively profound. 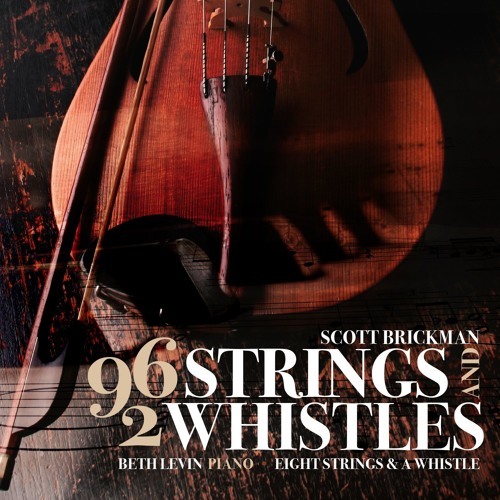 The "French Suite" (1973) for flute/alto flute, viola, cello, "Wind Power" (2011) for flute and piano, "Divertimento" (2011) for cello and piano, "Partita" (2012) for viola and piano, and finally "96 Strings and 2 Whistles" (2014) for flute/alto flute, viola, cello and piano, all flow along in rhythmically stimulating yet probingly "serious" ways. The music is well played, with Beth Levin sparkling in the piano chair but really all sounding quite well. Anyone with a penchant for modern chamber music will find this one consistently worthwhile and original. Recommended.